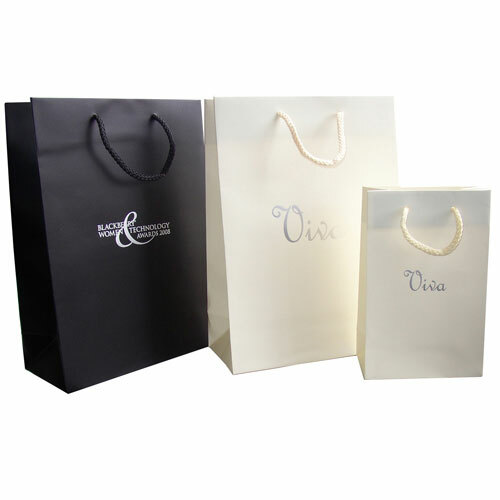 Luxury carriers available for foil overprinting or on a fully bespoke print service. 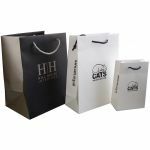 Subject to a minimum order requirement of 250 bags for foil overprinting and 1,000 bags for fully bespoke carrier bags, these items can be produced according to your design and own specifications. Please see individual product category for more details. Origination charges apply on first bespoke orders only. Costs vary and are subject to review of your artwork and amount of print colours. Contact us for a quote based on your specifications. Submission of artwork at time of request required.